Ingrid is one of our greatest Facebook fans. Every year she visits Italy at least once and she is always kind enough to share her beautiful photos with me and my other Facebook followers. From Liguria (click for our guide) to Tuscany and lot's of other places in-between Ingrid really has explored a great deal of Italy. 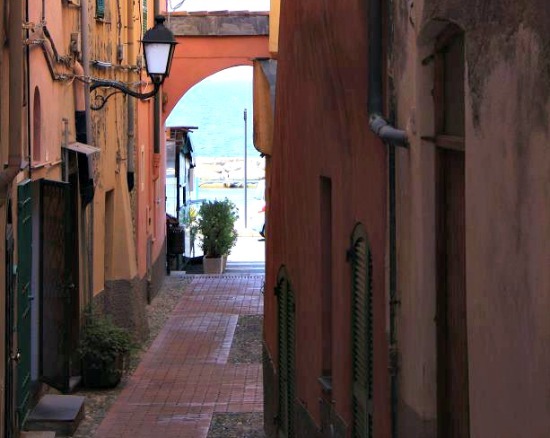 Enjoy this visual journey through a one of Ingrid's favorite corners of Italy - the coast of Liguria and please click like below if you enjoy the images. 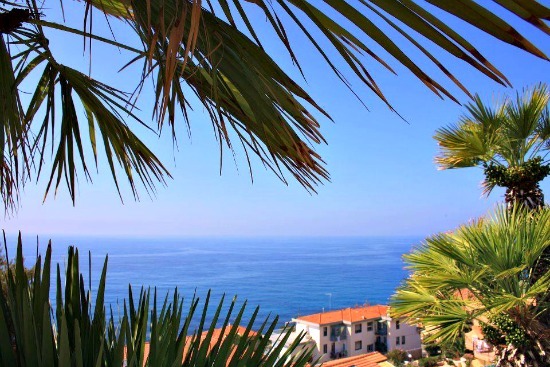 There is a place on the Liguria coast that has always held a special place in mine and Maria's hearts. Ingrid too loves this part of the coast and the photo above is taken there. 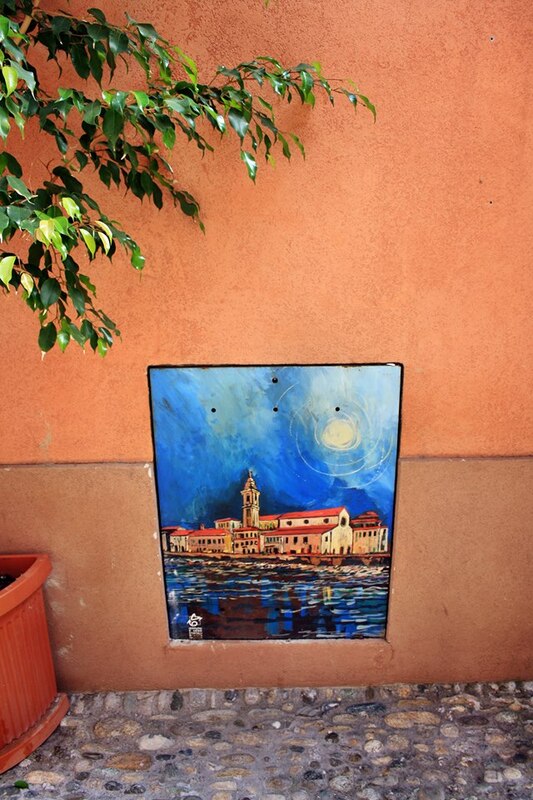 To find out more on where this secret corner of the Ligurian coast is click here. About midway along the Italian Riviera, a little past Savona (view map), you'll find Varigotti. 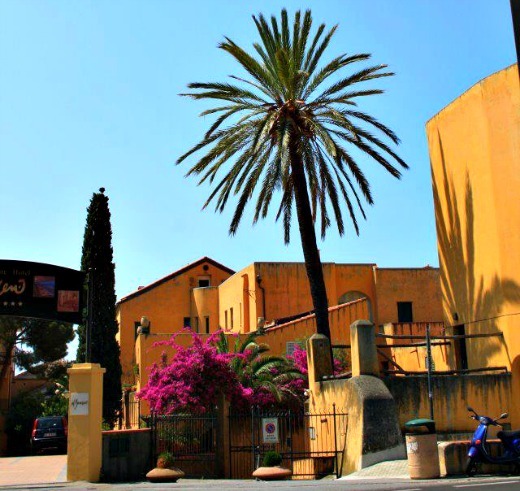 It is a unique little town with architecture quite different from the rest of Liguria. 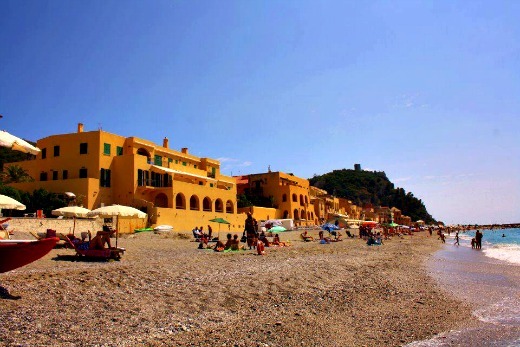 Varigotti and the Baia dei Saraceni are on my list of the top four beaches in Liguria (view the complete list here). 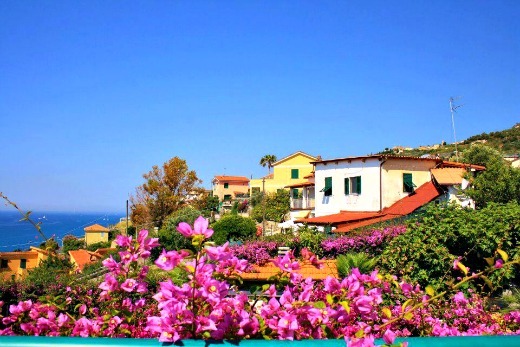 The walk down to the beach takes you through these meandering lanes of pastel hued cottages. I love it! Once through the narrow lanes this is the beach you end up on. A lovely place to spend a summers day. 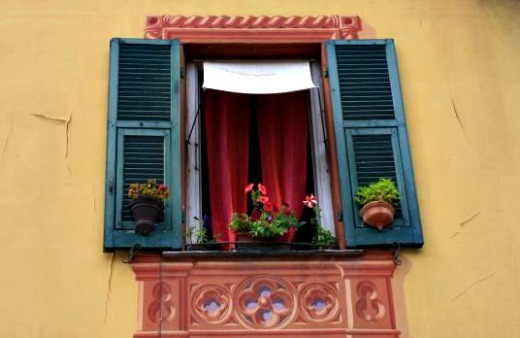 Ingrid's Liguria in pictures really is a window on this lovely part of Italy :-) and the flower boxes and shutters are just so Italian. For a list of fourteen of the most typical Italian things visit Reminders of Italy. 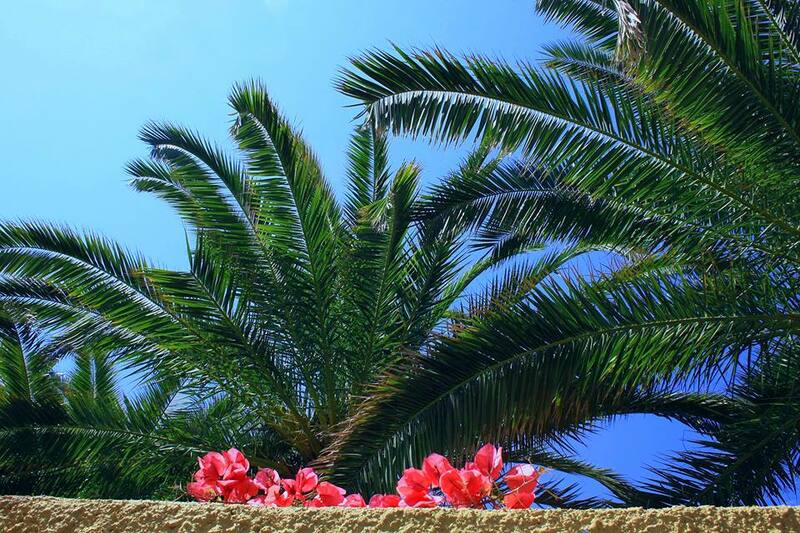 Palm trees and tranquil blue seas - photos taken on the western part of the Ligurian coast near San Remo. Need a map of Liguria showing where the beaches and towns photographed above are? Click here.